Sometimes the scripture has these often brief, but revealing, almost tongue-in-cheek elements (that I love) in which it feels like the reader is sort of let in on a joke or a story where everything may not quite be what it seems. The name that Gideon gave his son? 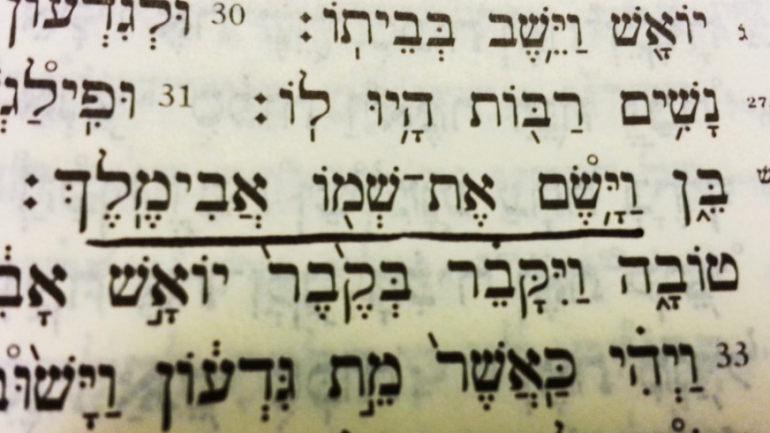 It’s Hebrew for “my father is king” (Avi-melekh, אֲבִימֶֽלֶךְ).